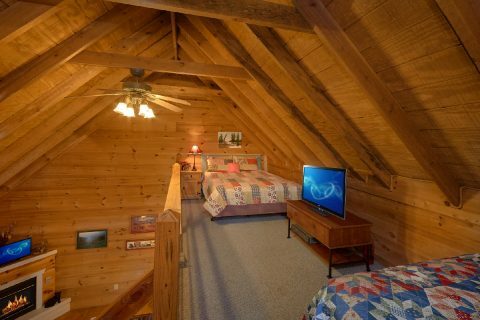 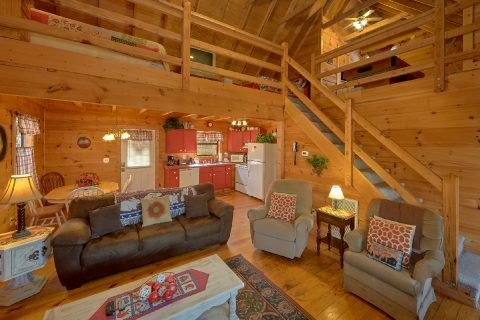 "A Little Bit of Lovin'" offers guests a 2-bedroom cabin near Gatlinburg for an unforgettable cabin stay. 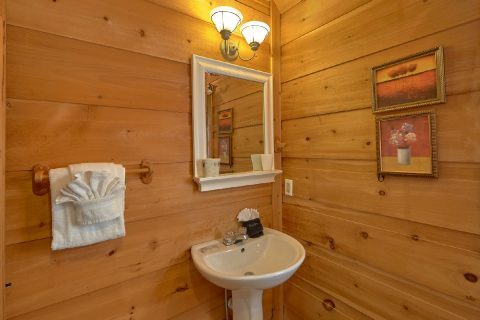 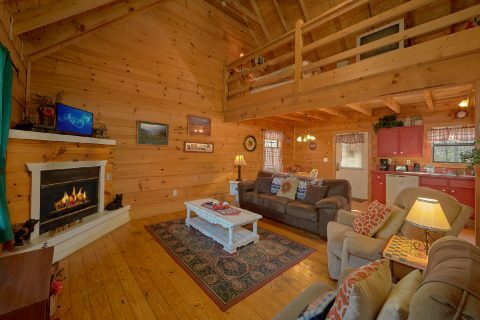 With a cozy interior and a location that lets you take in all the fun and exciting entertainment options of the Smokies, this cabin offers you the chance for one of your most memorable vacations yet! 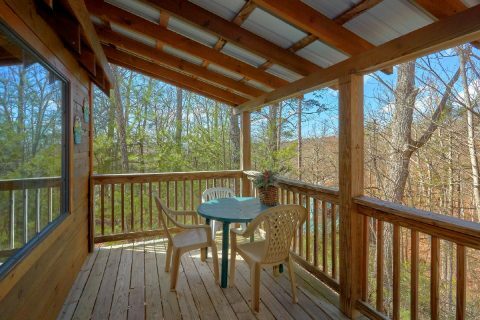 One of the best things about a Smoky Mountain vacation is enjoy the area pristine mountain setting. You can quickly access the over 900 miles of trails of the Great Smoky Mountain National Park from your cabin abode. 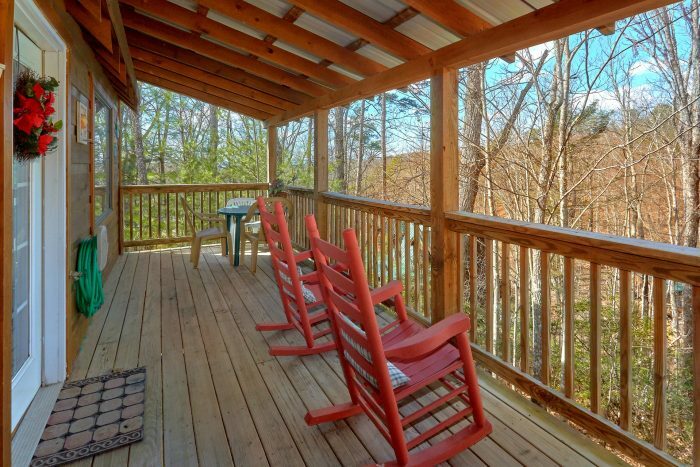 Back at your cabin, you can enjoy the mountain air with a cookout on your charcoal grill. 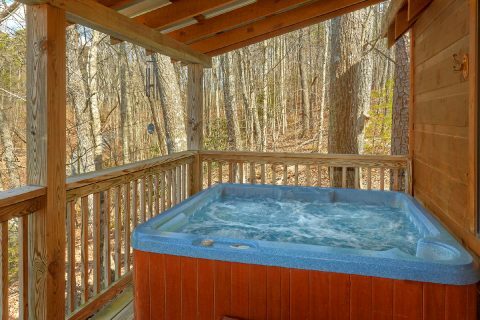 Relax in a rocking chair or hot tub and take in the partial, wooded mountain views. 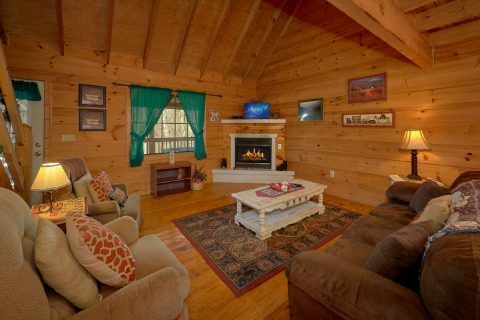 The Smokies also offer a chance to enjoy fun and exciting attractions. 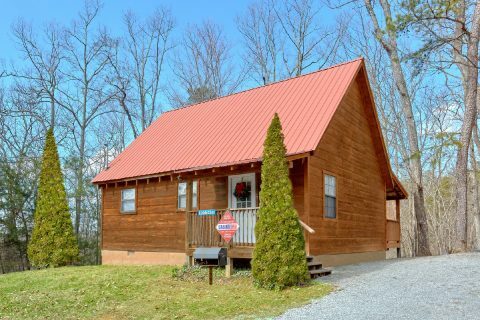 From the Pigeon Forge Parkway's dinner shows, shopping, and restaurants to the fantastic rides of Dollywood, you and your family will find no shortage of things to do on your vacation. 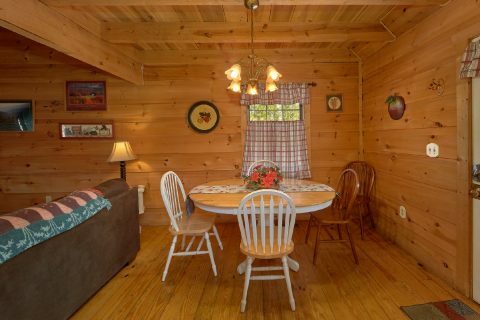 While there's plenty of exciting attractions around your cabin, this 2-bedroom, 2-bathroom also provides guests with cabin features and comfortable amenities to make your cabin stay fun, relaxing, and unforgettable. 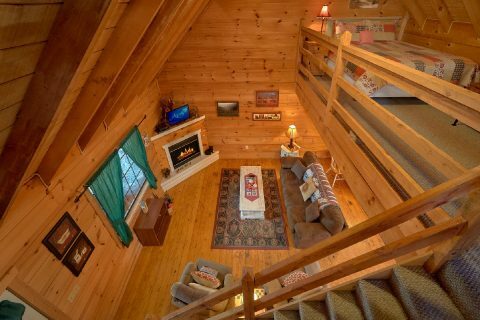 On chilly nights, gather around the warm glow of the gas fireplace for great conversation or your favorite show on the TV. 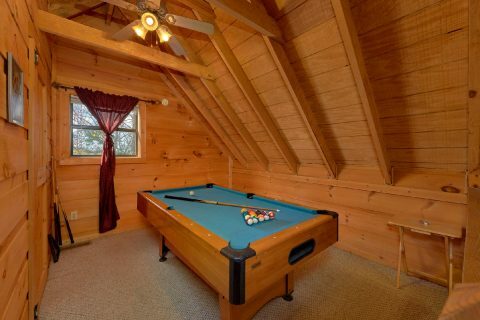 A pool table offers the chance to enjoy fun and games with friends. 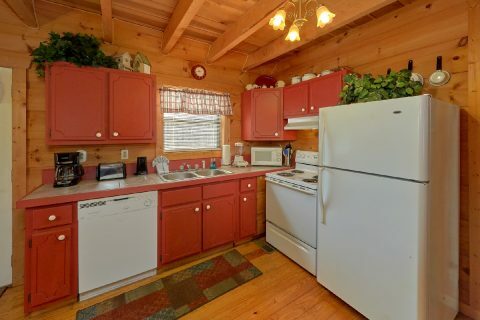 Practical amenities, including a washer and dryer and dishwasher, let you enjoy all the comforts of home. 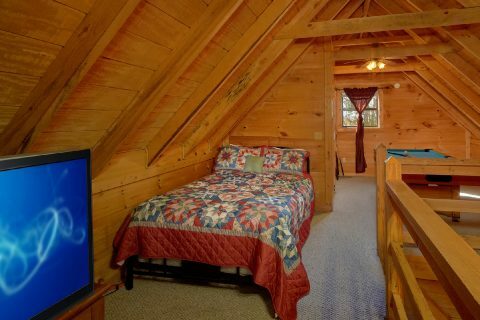 Whether you spent the day exploring the mountains or enjoying the fun, exciting attractions, you'll need rest up for another day of adventure. 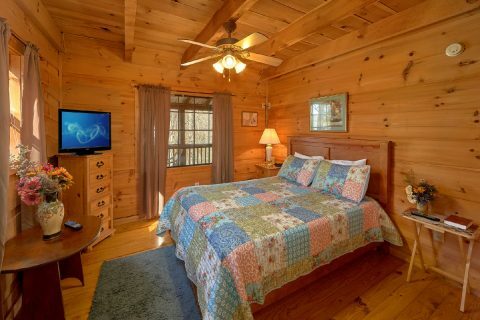 Enjoy a peaceful night's sleep in one of 2 bedrooms, with one featuring a queen bed and the other featuring a full bed. 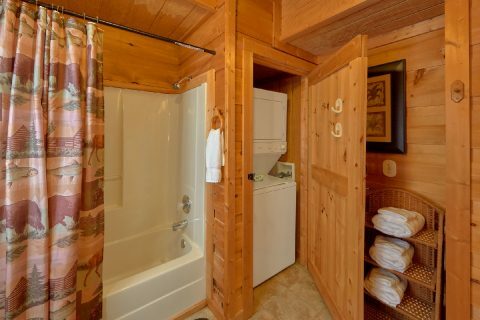 Enjoy a memorable Smokies vacation when you stay at "A Little Bit of Lovin'". 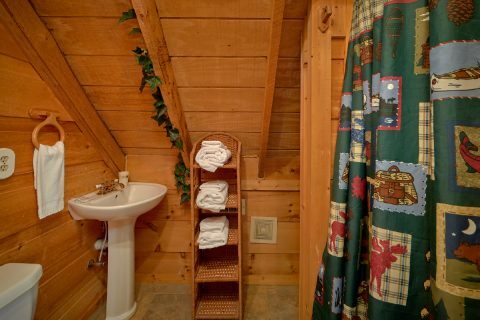 You'll enjoy a 15% discount on this 2-bedroom cabin near Gatlinburg!